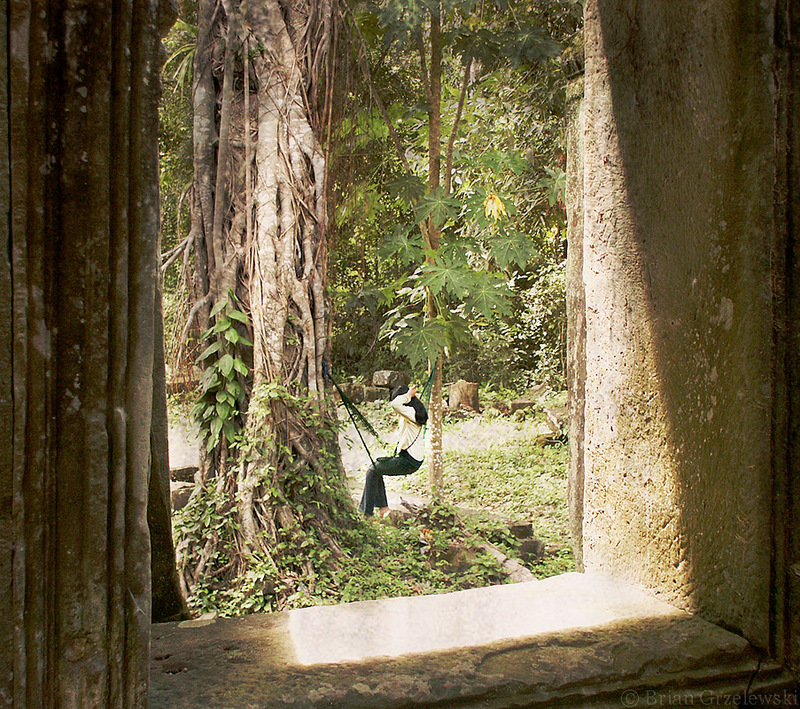 Back in June of 2003, we took a trip to Cambodia. We were in the area of the country called Siem Reap (pronounced SEE-um REE-up). 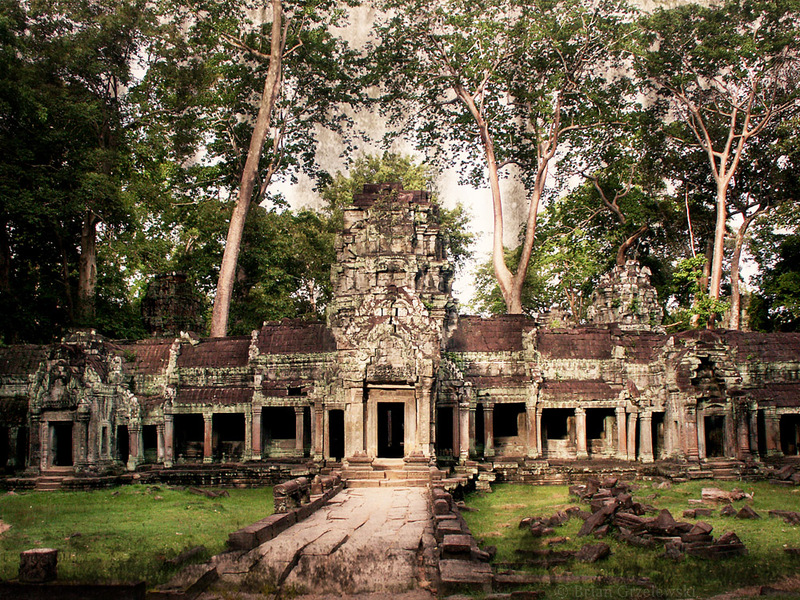 Angkor Thom is an ancient walled-in city with a temple called the Bayon that has 54 towers. Each tower has stone carved faces looking in all directions. Depending on who you listen to, the face is a depiction of the king or it’s a composite of the kings face and the serene face of Buddha. (It’s the same face in every carving). No one knows why they made so many. Climbing on and around these ruins was a good test of how “sure-footed” you are. 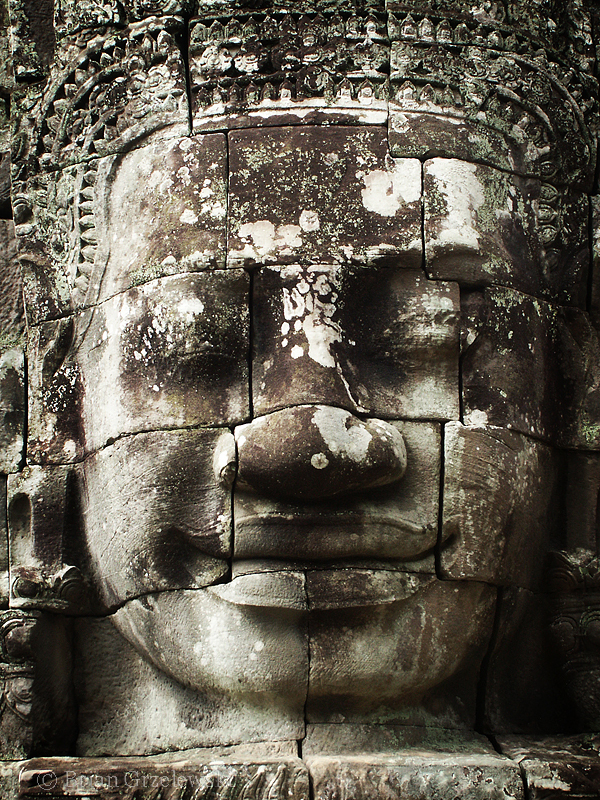 The Bayon is partially restored.